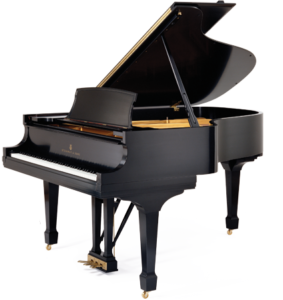 At 6′ 2″ the Model A is known for delivering a “grand” sound in a medium-scale instrument. It offers power and warmth with a design that allows the solid spruce soundboard to freely and efficiently resonate, like its larger counterparts. Please consider donating a key.